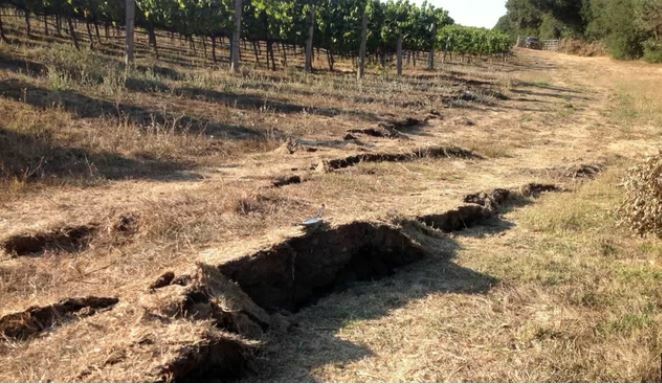 On Aug. 24, 2014, an earthquake ripped through Northern California’s Napa-Sonoma Valley. It was the largest in the San Francisco Bay Area in 25 years, leaving two dead and hundreds injured and causing damage that cost half a billion dollars. When Meredith Kraner, a geophysicist from the University of Nevada, examined seismic recordings from the region around the quake, “we found this really interesting signature in the data,” she told: a telltale pattern of expansion and contraction in the Earth’s crust. 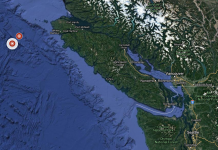 Now in a study that describes this finding in the Journal of Geophysical Research, Kraner and her colleagues also explore whether seasonal fluctuations in local aquifers might explain that cycle of expansion and contraction, a phenomenon that could have triggered the earthquake itself. But the fluctuations in the Earth’s crust that Kraner observed suggested that there may have been an added seasonal element that triggered this process. She identified this pattern by collecting data from Earthscope, a vast network of high-precision GPS sensors spread across the earthquake-prone western United States. Since 2005, these sensors have been recording millimeter-scale shifts in the Earth’s crust, building up a huge and detailed data set. Using this information, Kraner was able to precisely map out the expansion and contraction in the crust around the earthquake zone. “The crust is in extension during the late summer, and it’s in contraction during the winter. You see that happening every single year in that location,” Kraner said. “Our theory is that this seasonal component provided the final straw to this earthquake occurring,” Kraner said. But what was behind this unusual seasonal cycle, and how might it be linked to the quake? After the team ruled out several other factors, “the only thing we could think of it being related to was some sort of local aquifer system,” Kraner said. To test that idea, Kraner used satellite data of the Napa-Sonoma Valley, which revealed noticeable seasonal changes in the ground elevation over the areas where aquifer basins exist. It’s known that increases and declines in groundwater levels can cause the elevation at the Earth’s surface to rise and fall. Kraner didn’t measure the water quantity in these basins, but she surmised that if groundwater levels do recede in summer due to low water availability, that would cause the land above to subside. As this happens, it would pull on the crust, contracting it horizontally and “stretching” or “extending” the land surrounding the aquifer. Does that mean that human-driven depletion of aquifers can set this process in motion and cause earthquakes? Kraner cautioned that the study can’t answer this question. Even so, the region is characterized by water-guzzling vineyards that could lead to the contraction of Earth’s surface in the area. “On top of [the aquifers], you do have California wineries. They are pumping a lot of water. We don’t know how much,” Kraner said. And that dependence on groundwater could increase during the dry summer months and during drought. But Kraner was quick to note that her study didn’t measure water volume or pumping rates around the time of the quake. Groundwater levels also fluctuate naturally, driven by rains, evaporation and other natural phenomena, she said. But as the first study to identify this localized pattern of expansion and contraction in the Earth’s crust, Kraner’s research does crucially reveal that seasonal stress may be one of many factors helping to trigger earthquakes. Understanding this seasonal element might one day help scientists create richer and more-accurate forecasts for these phenomena, she said. Meanwhile, a megaquake is coming to the Northwest and it’s not a matter of if but when.